With a complete range of shredder machine for papers and other waste, we are at the core of these equipment in India. We shall give you the right solution! This is the safest way to dispose important documents such as bank statements, tax records or personal information directly fromyour home or your near your desk in the office. 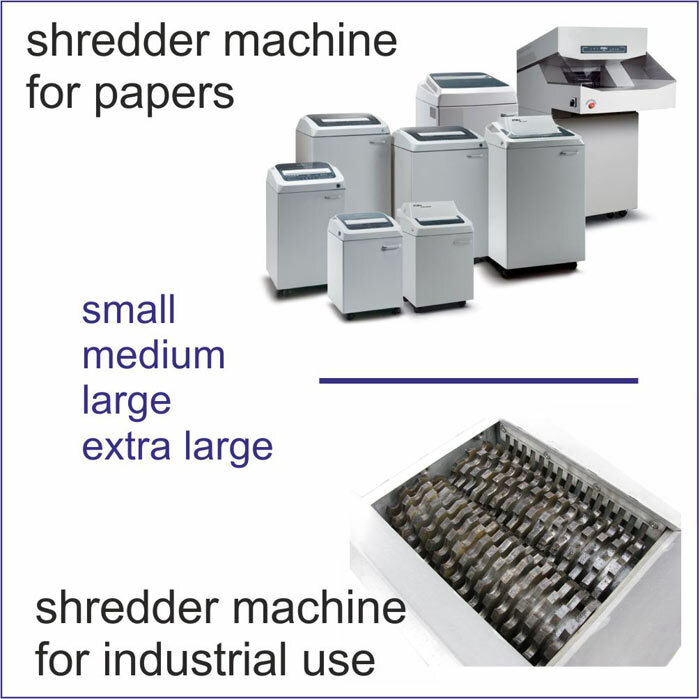 At SASCO you will find the right paper shedder, whether for home, offices, IT departments, HR office, Corporate offices, for high level executives or industrial models for large loads of non stop shredding! 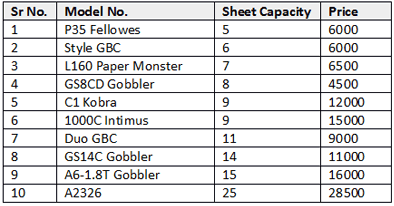 Enlisted here are some common models, please do inquire about other paper shredders with latest features and current pricing, offers, discounts. Along with papers, digital data like hard drives have invaluable data, we have shredder for that as well. We also provide degausser which completely erase the data on hard disks if you are looking for an easier and more convenient option for the office environment. We have shredders from the worldâ€™s best brands offering the widest choice for all kinds of data, whether for paper, CDs/DVDs, floppy disks, ID cards, or even for shredding of entire hard disks. Our renowned multi use pharma waste shredders are used by almost all leading pharma companies in India, other machines from 3hp till 50hp are very efficient shredders that are in no way limited to a particular application, if you tell us what and how much you want to shred, weâ€™ll give you a shredder that will do the job productively with the least amount of electrical consumption, resulting in savings on labour and electricity costs. Please contact us for more details, we shall be glad to be of assistance for your projects. 7, 8 & 9/116, Reay Road (W), Opp. Railway Station, Mumbai 400010. Maharashtra, INDIA.